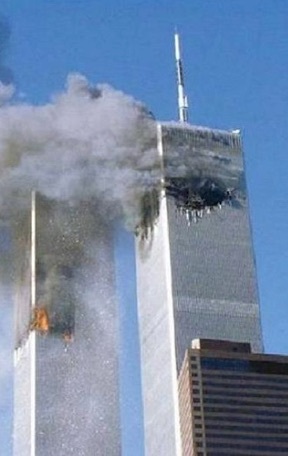 It is best not to get too distracted with how and when the towers were rigged, as the "why" is much more important (part 1.5). 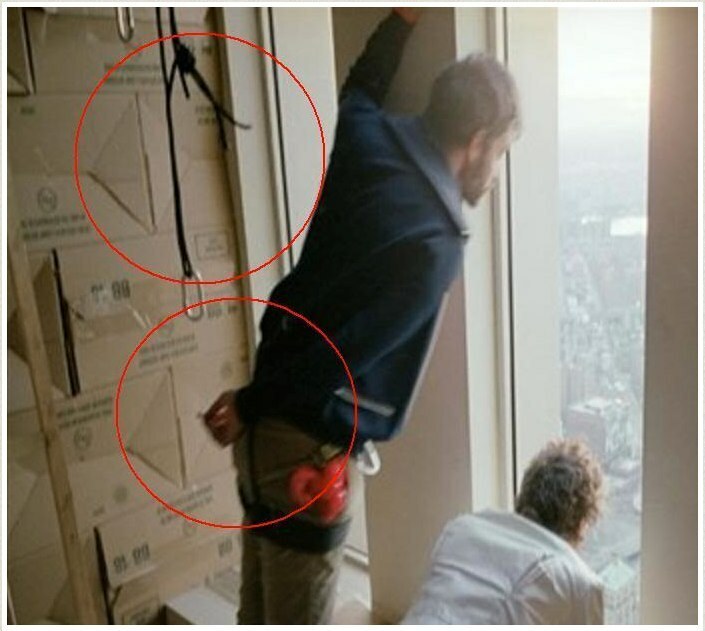 During this project almost the entire 91st floor of WTC1 was filled with "empty boxes" all labeled "BB 88"    which just so happens to correspond with a specific and interesting product (Littelfuse electrical 3-phase fuse holders). The BB 88 parts may or may not have something to do directly with the demolition - one thing is for sure, it is highly unusual for art students to have such a massive amount of them. More likely, they could simply be using BB 88 boxes with completely different contents inside. 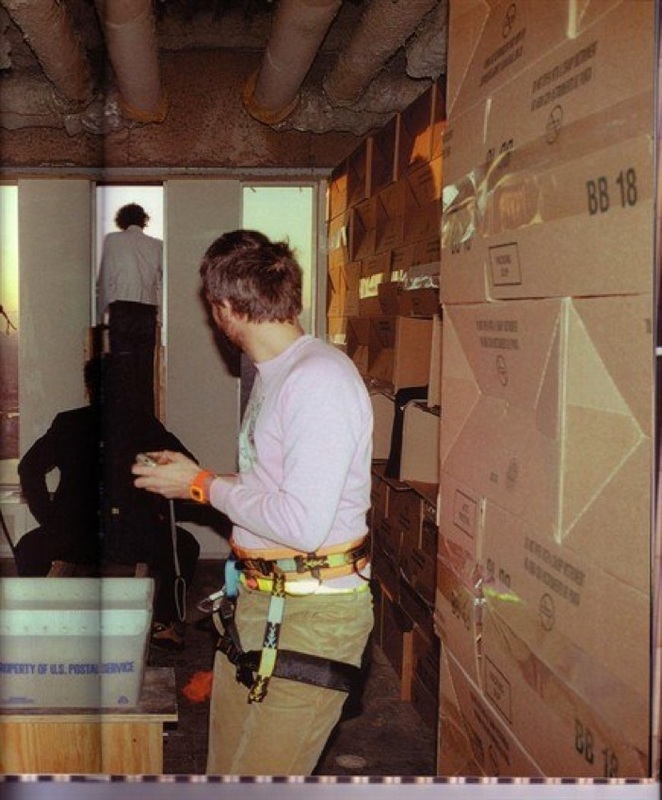 Shortly after this in March 2001, another art group known as the E-TEAM (Explosive Team?) lights up the WTC in the same area with their art group name (E-TEAM) using 127 illuminated windows, which coincidentally just so happen to be in the exact location where the plane impact would take place one month later. 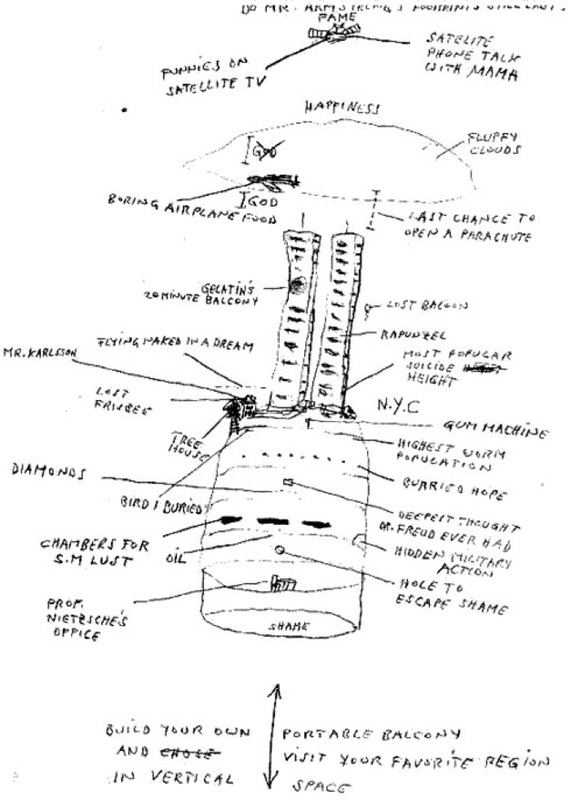 Just prior to 9/11, GELATIN released a disturbing and poorly drawn art book about their project "The B-Thing", which contains some odd and in-your-face imagery, including a drawing of someone falling from the towers with the caption "300 meters of pure pleasure"; an image of the tower being destroyed with the caption "Depression inside, amazement outside", and even a picture of the towers with a line above them and the caption "Last chance to open a parachute". The book itself is $600+ on Amazon.com, going as far as to describe the project as "an unbelievable, completely illegal, and fully secret stunt when it was performed... "The B-Thing" is now unbearably surreal, weirdly prescient, and forever unrepeatable. ".